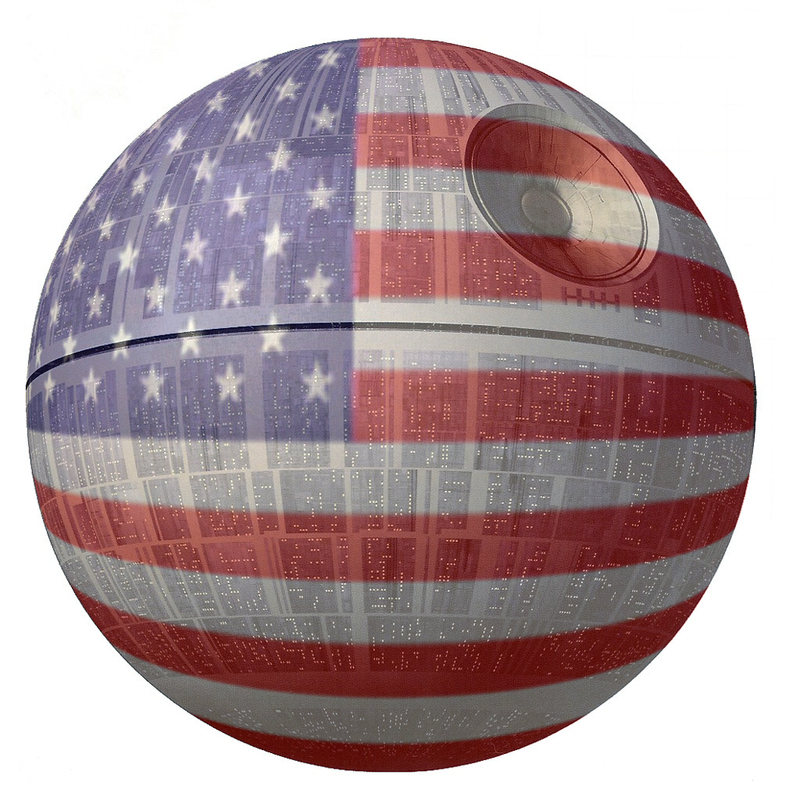 ·The construction of the Death Star has been estimated to cost more than $850,000,000,000,000,000. We're working hard to reduce the deficit, not expand it. · The Administration does not support blowing up planets. · Why would we spend countless taxpayer dollars on a Death Star with a fundamental flaw that can be exploited by a one-man starship? Not to mention that I doubt the planet has enough metal to build the thing. The empire mined ore from several planets to produce theirs. if they useds all the steal from the steal from the abandoned buildings in Detroit that would be a good start, not to mention metal from 700 000 abandoned homes in Detroit. The packard plant alone is the size of 5 football fields lol. Good point KC Wayne. Sometimes people just don't think logically. Gee.. they change your quotes at this blog? "Working hard to reduce the deficit"? This came from Obama's White House? I love Star Wars since my 8 or 9 years old. But... build a real Death Star?